As we prepare to march together on January 20th, it's important to understand how our own blindspots and privilege can get in the way of working in true solidarity. Sometimes we need to see how even our well-intentioned actions may have a negative impact on those with experiences different from our own. Join us for an impactful training that will help you learn about yourself, your biases and advantages, and the diversity of our community. 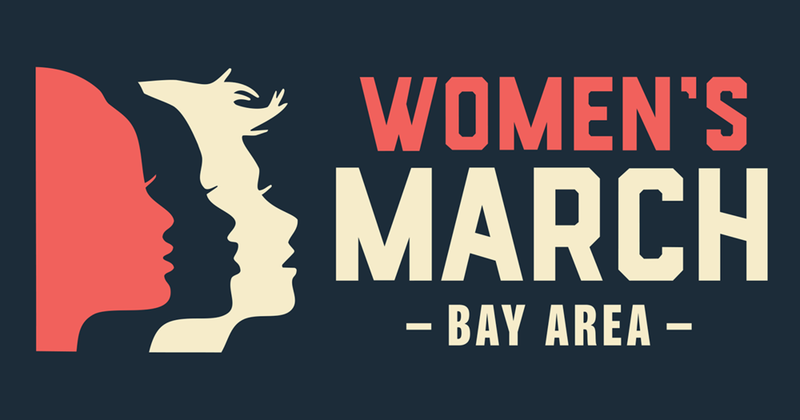 We'll examine how our gender identity, race and sexuality intersect to impact our experiences and perspective, and discuss how to make the upcoming march more inclusive. This event is FREE, and all are welcome to attend. Support March efforts by donating to help us meet expenses. The Women's March would not be possible without your help. Thank you for your support. Rachel Rosen is a seasoned Facilitator, Executive Coach, Consultant, Racial Justice and LGBTQ activist, and the Founder of S.P.A.R.K. Leadership and S.P.A.R.K. Community. Rachel is on a mission to start a global conversation about inclusion, empathy, and racial equity. With a Masters from Stanford, and extensive training in leadership, coaching, team and organizational development, S.P.A.R.K. offers experiences that support leaders and teams to unleash their potential to facilitate powerful experiences, collaborate, and build trust--all in service of building a better tomorrow. Chandra Brooks is a Best Selling Author, Activist, and SocialPreneur passionate for her community, civil rights, social justice, and improving voter outcomes and civic engagement in communities of color. Chandra is the former Vice President of the National Association for the Advancement of Colored People (NAACP), Former Executive for SEIU-USWW and currently an appointed Commissioner of Santa Clara County’s Commission on the Status of Women and Girls and Chair of the Justice and Advocacy Committee that manages the Commissions oversight of Elmwood’s Women’s correctional facility.